Moldavite is a tektite, and a stone of intense frequency and high vibration. In ancient times it was thought to be a mystical stone that could bring good luck and fulfilment of wishes. These natural green crystals are powerful stones for transformation, as it is thought to be the stone known as "The Holy Grail Stone." It is an amazing crystal to create change in your life, and is one of the best stones to use for psychic protection, as negative entities find it difficult to connect to your aura when you are wearing it. This crystal is found in only one area of the world, and the meaning of the name Moldavite relates to the Moldau River in Czechoslovakia. Using this stone in meditation is very powerful if you are working on developing psychic abilities. One of its best assets is that it is a protective stone. Wearing this stone is an advantage when you are working with spirit, so you can be sure that what you are making contact with is of 'the light'. 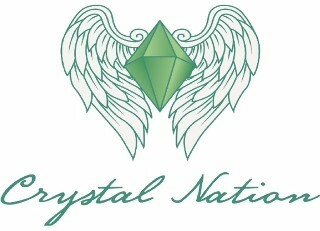 Change and spiritual healing are the common elements that this powerful natural crystal stimulates amongst most people. This may take different forms, as this beautiful green stone can affect any or all of the chakras but it major effect is on the heart chakra, which resonates the vibration of love. If you wear this crystal anywhere on your body, or hold a piece of this powerful transforming crystal in your hand during meditation, you may experience a more powerful and meaningful experience. We take great care to ensure that your order reaches you promptly and in excellent condition. Orders placed (Monday-Thursday) are despatched within 24 hours (excluding Bank holidays). 1-3 day priority service, 90% of all packages arrive next day. Deliveries are made during the week and on Saturdays. 1-2 day service with signature, 90% of all packages arrive next day. Deliveries are made during the week and on Saturdays. Next day guaranteed delivery to UK addresses. Deliveries are made during the week, Monday to Friday. This is a tracked service and a signature is required on delivery. International deliveries arrive in 5-10 working days. Online tracking is not available with this service. International deliveries arrive in 5-10 working days. A signature is required on delivery. Tracking is available with this service.